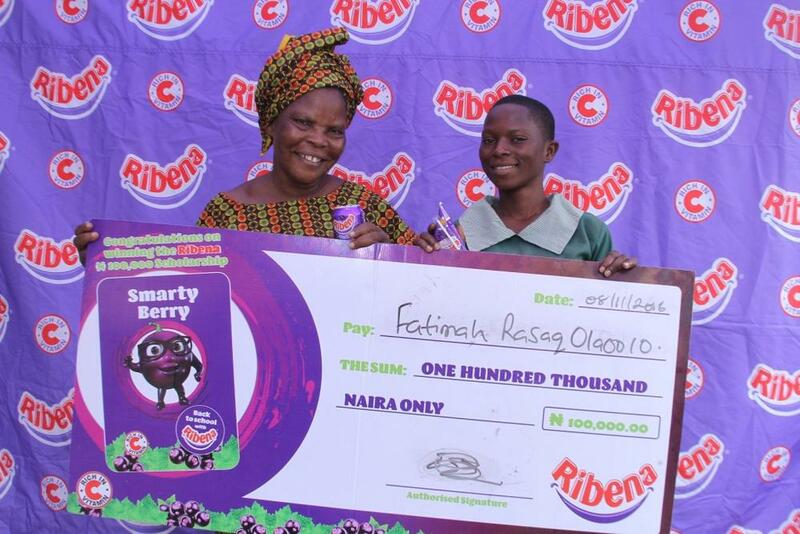 On Tuesday 8th of November, three parents confirmed the credibility of the ongoing Ribena Back to School Scholarship Promo as their children were rewarded for finding the Smarty Berry sticker in the 150 ml promo pack. 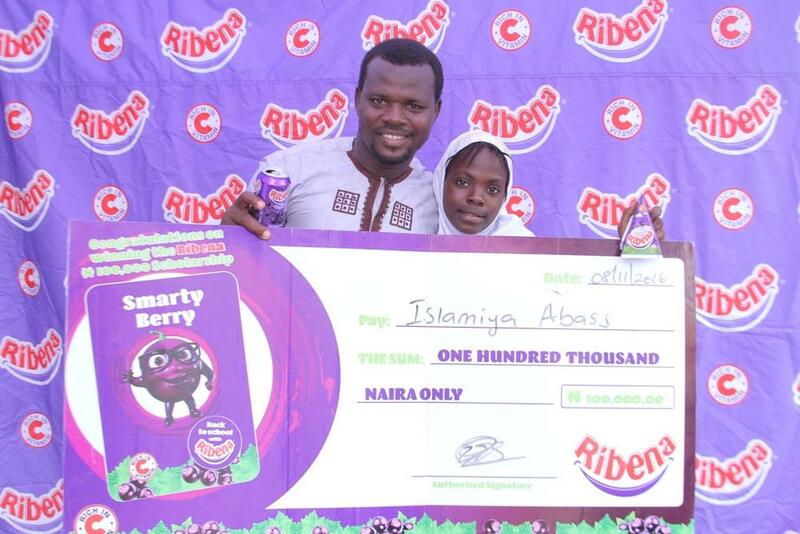 The parents of Islamiya Abass, Favour Benson and Fatimah Olaoolo experienced a guaranteed win as they each received cash scholarships of N100,000 to support their children’s education. 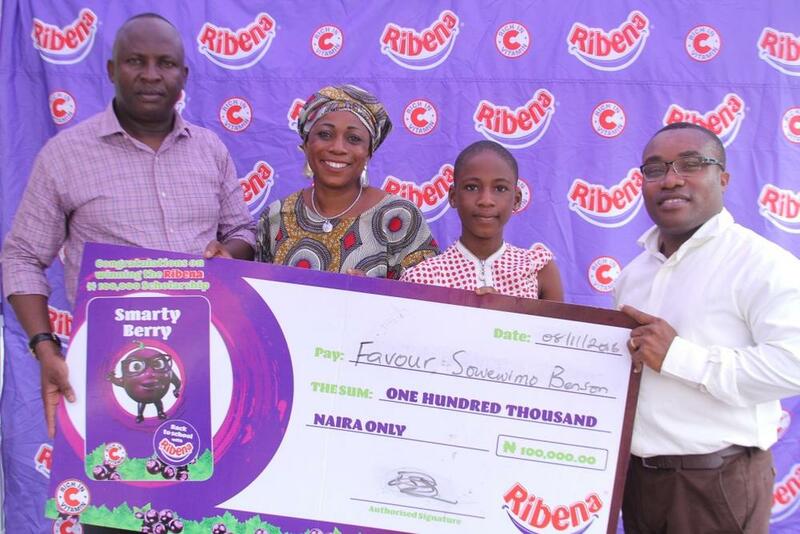 Taiwo Abass, father of 10 year old Islamiya Abass from Fidelity Nur/Pry School, Ibeju Lekki was the first to receive his instant alert. He could not contain his excitement as he shared his testimony in Yoruba. Laide Benson mother of Favour Benson from Favour Benson from Ideal Girls Grammar School Lagos Surulere was the next to screech with excitement and she sang “I don get alert Godwin!” She went on to pray for the company as she shared that this scholarship will go a long way in supporting her daughter’s education. 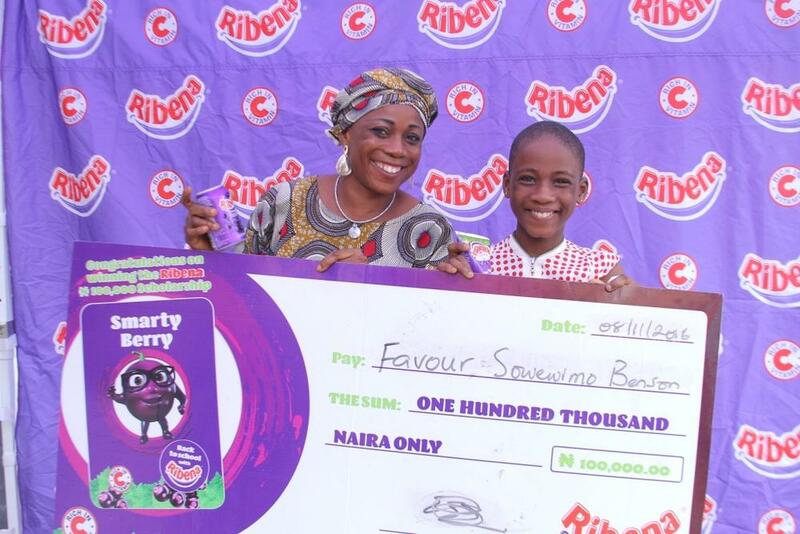 Follow the process as informed by Ribena redemption representative.